On December 7th from 1pm-5pm we will be making toys and blankets for the dogs at CAPS; this event will be come & go as you please and Janice will be hosting us at her house. Please RSVP so her parents know how many kids will be at their house! Make sure to either email us at jethskeyclub@gmail.com or let us know on FB! 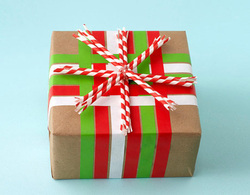 On December 13th, at Katy Mills Mall, we will be wrapping gifts with the American Liver Foundation. Please email us @ jethskeyclub@gmail.com, or join the event page on Facebook. We will need your name, age, and email no later than December 2nd. You can sign up for 1 hr, or as many hours as you want, starting from 4 and going til 9. The location is in the file below!